Concealer has many functions. It works in combination with foundation to give the appearance of smooth, even skin, disguises blemishes and scars, hides dark circles and pigmentation, and refreshes tired looking eyes. Mineral concealer takes it one step further by providing these benefits without the use of harmful chemicals. What makes mineral concealer different is that it doesn’t clog pores or harm skin with irritating ingredients. Instead, it provides ample coverage for common skin problems, such as redness, age spots, large pores, and visible flaws and imperfections on the skin. Why Switch to Mineral Concealer? Mineral concealers have grown in popularity in recent years. 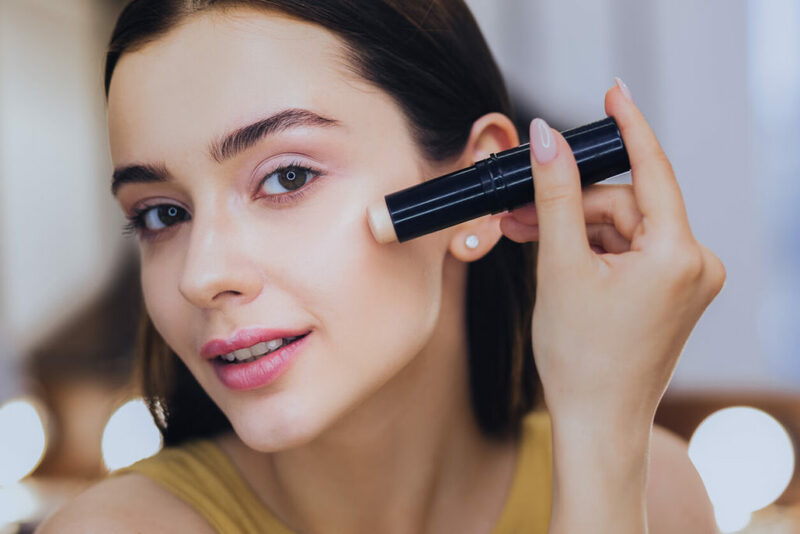 As customers become more aware of the harmful ingredients found in many leading concealer products on the market, the demand for healthier alternatives has definitely increased. Mineral makeup is free of various fillers known to cause skin irritation, dryness, and acne, such as chemical dyes, talc, artificial fragrances, binders, and chemical preservatives. Mineral makeup is a gentler alternative that can be used by all skin types, including people with sensitive skin. Some mineral concealers also contain other ingredients that are good for the skin, such as vitamins and antioxidants. Traditional concealers often contain heavy ingredients known to clog pores. Clogged pores are a common cause of breakouts and can make skin appear dull and lusterless. Mineral concealers are free of oils and other irritants, meaning it will not promote bacteria growth or clog your pores. As mineral concealers tend to be lighter in weight than traditional concealers, they also provide a more natural look. Unlike heavy makeup products that sink deep into fine lines and wrinkles which make them more noticeable, mineral concealer helps conceal flaws for a more even skin tone and texture. Suitable for sensitive, mature, oily, and normal skin types, Hydrasheer Concealer is a corrective, hydrating and paraben-free concealer fit for daily use. This lightweight corrective concealer is free of harmful chemicals and works well to conceal redness, blemishes, and other imperfections on the skin. Hydrasheer Concealer provides full coverage for a creamy, photo-finish. It also helps soften fine lines around the eyes, as well as dark shadows. The formula is hydrating and packed with antioxidants like vitamins A, C, and E which protect the skin from harmful free radicals. It also contains hyaluronic acid which plumps the skin for a more youthful appearance. The Hydrasheer Concealer can be found in four shades to match every skin type. These shades include Natural, Porcelain, Golden, and Warm Honey. Just choose the shade that suits your skin best and gently dab the concealer stick on areas of the skin you would like to conceal. Many women nowadays are being converted to use mineral makeup and for good reason. Mineral makeup is an effective way to cover up flaws and other imperfections without having to resort to chemical-laden cosmetics. Hence, giving you a healthier, smoother-looking skin. Click here to purchase Hydrasheer Concealer online.